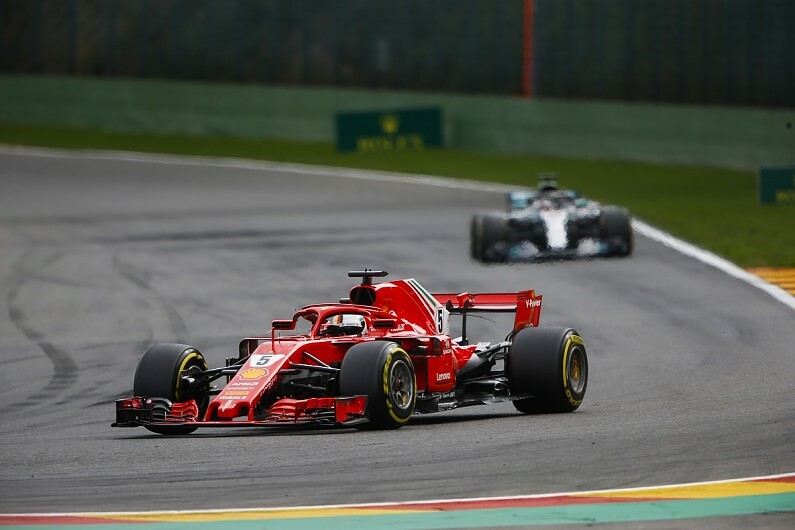 Formula 1 race director Charlie Whiting says he was "amused" by Lewis Hamilton's suggestion after the Belgian GP that Ferrari has trick things on its cars. The reigning world champion later clarified he didn't mean to imply the Italian team was doing anything illegal. Whiting said Hamilton couldn't know what Ferrari is doing under the skin of its car, while confirming that the FIA is up to speed. "I'm quite amused by it really," Whiting said. "Because we know quite a lot about the Ferrari car, and there is no way that Lewis would know anything about the Ferrari car. "They're doing a good job at the moment, and Mercedes have got to try and counter that, haven't they? "That particular comment doesn't actually say anything. If he says they've got a few tricks going on that car, clearly they have got some things on the car which are giving it performance, which we're all aware of - all us in the FIA are aware of - and obviously we are happy with." Mercedes team boss Toto Wolff admitted it is always frustrating for a team to try to work out what a rival is doing, but insisted he trusts the FIA to police the sport fairly. "It is completely human nature that if you are being outperformed on track then you are hopefully looking at yourself," said the Austrian. "Then you are looking at your competitors, and if you haven't got the explanation, then you are trying to imagine all the nasty things. "I haven't got any information but I have a real faith in the FIA. "There is a great group of people around Olivier [Hulot - head of F1 electronics], and Cedrik [Staudohar - F1 data analyst] and Nikolas [Tombazis - head of single seater technical matters] that are on top of things and control each and every team, that are open minded, and this goes for all the teams. "Everybody will try to innovate and will try to find additional performance and they, as far as I am concerned, are doing the right things. They, as in FIA."